Masters of the Universe by Daniel Steadman Jones. Princeton University Press, 2011. Last week I reviewed, well took the chance to get across my views in the guise of a review, Steadman’s book. Actually I focussed on the first four chapters that tell the story of the rise of neoliberalism as an ideology and a political doctrine from the 1930s to the end of the 1960s. I dealt with the transition chapter, Chapter 5, “Keynesianism and Monetarism”, very lightly and entirely omitted consideration of the final two chapters and the epilogue because they pertain to the post-1970 period when IMF led neoliberal economics came into prominence foreshadowing the Regan-Thatcher dark ages. It will be useful to repeat a just one point from last week: neoliberalism, in the first phase when ideas were created and consolidated, was an ideology, a philosophical world view supporting individualism against all forms of collectivism. It was only afterwards, after 1970, that it became something more crass, materialist and politically reactionary; it became neoliberal economics. I have decided on second thoughts that the Keynesianism-Monetarism chapter deserves attention, not only for its intrinsic value (the book on the whole, especially chapters 1 to 4, is excellent) but also because this historical debate has a bearing on monetary and economic policy in the US, Europe and Japan right now as global capitalism sputters unsuccessfully to recover from the post-2008 prolonged recession or New Depression. 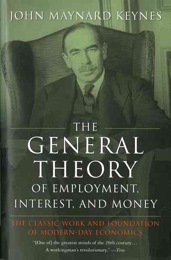 Keynes is regarded, universally I believe, as the most influential political economist of the Twentieth Century. He went up from Eaton to Kings College, Cambridge, in 1902 intending to read mathematics, but the great classical economist Alfred Marshal (1842-1924) spotted him and persuaded him to switch to economics. The most important thing about Keynes is that he was not an academic economist or a university professor; he was deeply involved in government, in policy, and in international decision making; he applied economics to the real world. Keynes joined the Civil Service in 1906 and left in 1909 to take up the editorship of a journal; he rejoined the Treasury in 1915 and was prominent in running the war economy for Britain. He was on the British team at the Versailles Peace Conference in 1919 and fought bitterly, but to no avail, against the imposition of harsh war reparations on Germany. His proposals, if accepted, may have prevented the rise of the Nazis 15 years later. In the 1920s he worked on theoretical topics, but with the Great Depression came into his own, developing the problem based approach that came to be known as Keynesianism. He, along with Harry Dexter White of the US, established the Breton Woods structure after the war in 1944. His proposals were more radical than White’s, but with their greater power the Americans had their way. He died prematurely at the age of 63 in 1946. Something very interesting is that what we call Keynesianism today is in large part what governments, treasury and finance ministry officials, and his disciples, preached and practised in his name after his death. Keynes is the father of Twentieth Century government intervention in the capitalist economy and the creator of macroeconomics. He advocated the use of a full range of tools; money supply, interest rates, credit policy and of course large infrastructure spending, depending on the needs of the economy at the time. Keynes was certainly not an opponent of free markets; rather he opined that the laissez faire system had its limitations and had to be managed by timely state intervention. Keynes rejected Marx outright. His oft quoted line is: “How can I accept the Communist doctrine, which sets up as its bible, above and beyond criticism, an obsolete textbook which I know not only to be scientifically erroneous but without interest or application to the modern world”. How strange that in the “long run” it is Keynes who is a lot deader than Marx; the latter comes marching back every time it is declared that the old curmudgeon has been buried! Friedman was born a generation later in New York into a very different background. His parents were shopkeepers; Keynes came from an upper-class family in Cambridgeshire. Perhaps this difference in background furnished attitudes. Keynes, the patrician civil servant was certain that able and educated elite could run country and government on behalf of the hoi-palloi; the offspring of traders took to monetarism and worshiped consumer markets as the apotheosis of freedom. Friedman spent most of his working life at the University of Chicago and also advised US Republican governments, the brutal Chilean military dictator Pinochet, and post-Soviet states. If Keynes’ name is linked to liberalism and social democracy, Friedman is a high-priest of neoliberal economics and spokesman of right-wing regimes. Keynes knew that free-market capitalism needed state intervention to keep it on track and climb out of recessions. His values were those of an English liberal, his economics manna from heaven to the social democratic cause. He advocated fine tuning by the state and the use of a toolkit for management of macro economic variables (money supply, interest rates, demand creation, public spending and inflation targeting); an invisible hand in a state modulated glove. He rejected state owned or centrally planned and controlled economic methods (Soviet Union or today’s Cuba) and we can project his views to say, were he alive he would be uncomfortable with dirigisme state guided development models (South Korea, Taiwan, Singapore and to a substantial extent China). The quantity theory of money, the Friedman mantra, is a little technical but can be explained by anyone who has a grip of it. (Remember Einstein’s quip that anyone, if only they understood it could explain Relativity Theory to a school kid). I am an engineering-scientist, not an economist by a long chalk, but professional economists are notoriously inept at explaining economic concepts in simple words – Stedman Jones is no exception. Engineers have the chutzpah to try their hand in fields where they are not welcome, so let’s see if I can get basics ‘quantity theory of money’, Friedman’s decoction, across in point form. (I invite readers who are not interested in nitty-gritty details to skip to the next section). 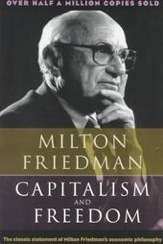 a) Friedman argued against the Keynesian thesis that government policy (monetary and fiscal policy, or interest adjustment, or large scale investment) can be used as an economic tool. He said it would not be effective, or worse it may do harm. b) Using empirical data analysis he claimed to have shown that money supply was the primary factor (over government spending and fine tuning) in determining growth and income. c) In the short-term, increasing the money supply lowered interest rates and raised the output of the economy, but it also raised spending, wages and prices (inflation); therefore in the long-term, interest rates would rise. d) Conversely, tightening the money supply will, in the long-term cause interest rates to fall. Items (c) and (d) are the converse of what economists conventionally accept. e) He argued that employment dependent on the heath of business and not on government fine tuning. 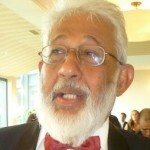 He proposed models similar to (c) and (d) for employment as well. f) He advocated an untrammelled free market (laissez faire, elimination of import duties and floating exchange rates) as the economic system most compatible with human liberty. Friedman argued that the Great Depression was the result of mismanagement of the money supply (monetary contraction) subsequent to the 1929 stock-market crash. In this he differs from both the Marxists who see it as a catastrophic systemic collapse inherent in the dynamics of capitalism itself, and from Keynes who saw it as a failure to properly control the laissez-faire system by timely government intervention. Friedman graduated in mathematics and intended to become an actuary. 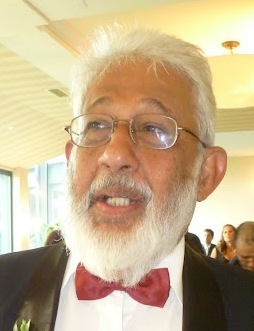 His seminal work in this field was to develop a sampling technique known as sequential sampling, which is an important and widely used contribution to the field. If only he had stuck to statistics he would have done a great deal less harm to mankind. In intensive care units all over the world struggling to revive capitalism in its death throes it is almost entirely Keynesian medication that is being applied. The free market is in the dog box and its unvarnished excesses are blamed for berserk boom-bust gyrations of the 1990s and 2000s; the dotcom (technology) bubble, subprime housing madness, and the mania of the financial industry. Hence Bernanke, the European Central Bank and Abe and the Bank of Japan, cheered on by the IMF, ADB and World Bank, are out on a Keynesian binge like never before. This time it is trillions, not billions of dollars that are being splash. The response has been anemic and the global economy is still vulnerable. Marxists on the other hand are pleased that their analyses have been vindicated. Every upheaval in the world is a huge teaching laboratory and they too have learnt as many new lessons as anyone else about globalization, right-now existing capitalism, and the nature and potential of finance capital.